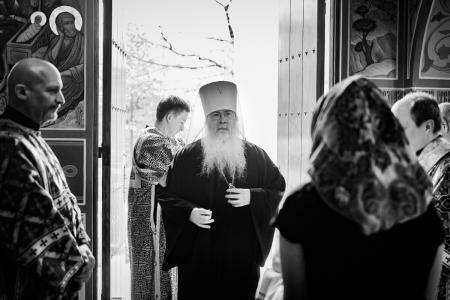 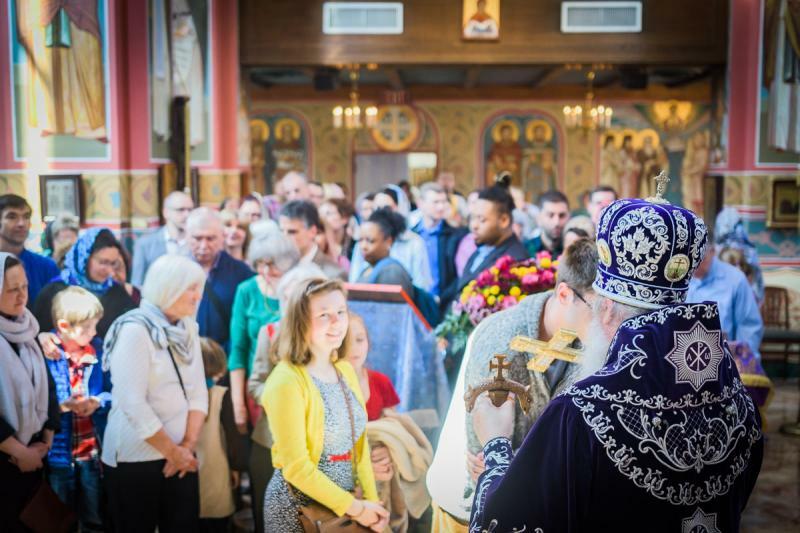 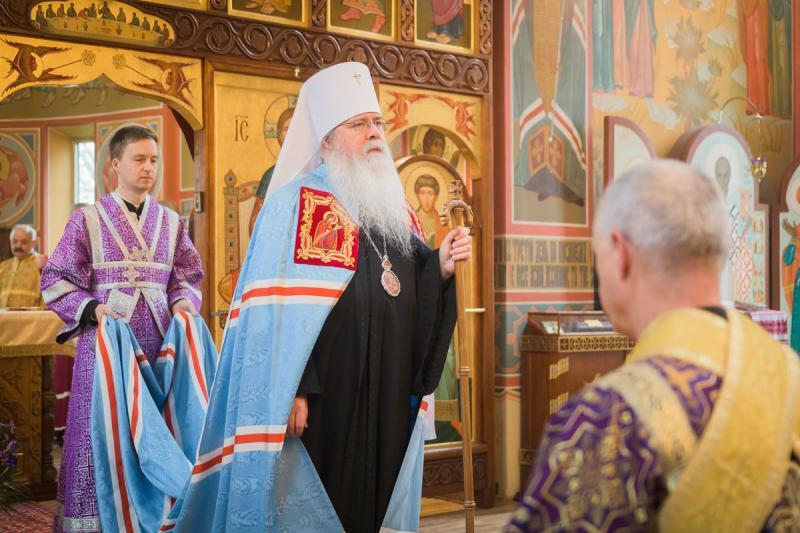 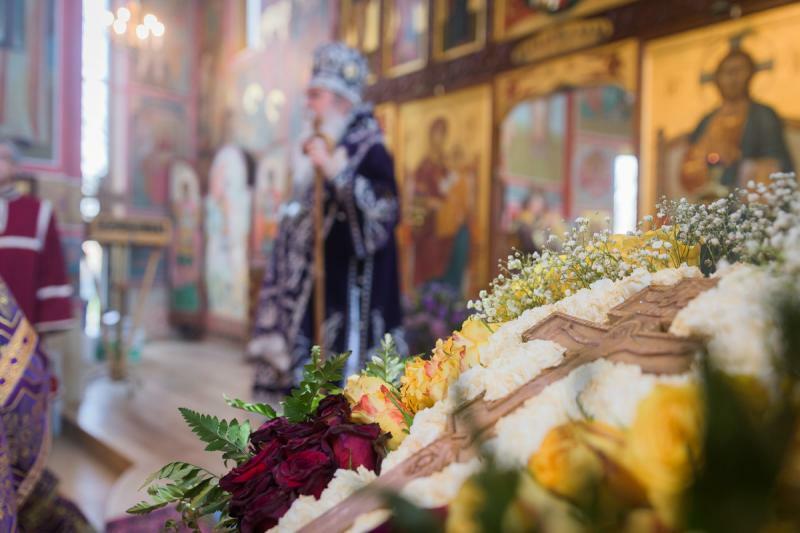 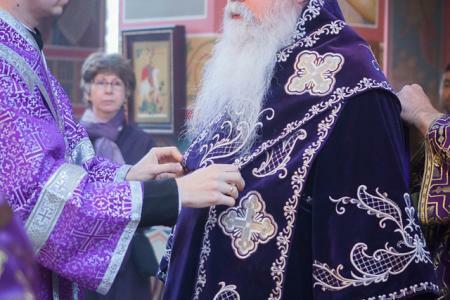 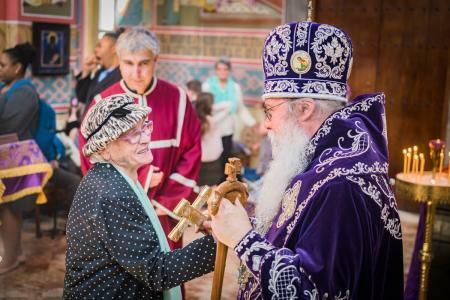 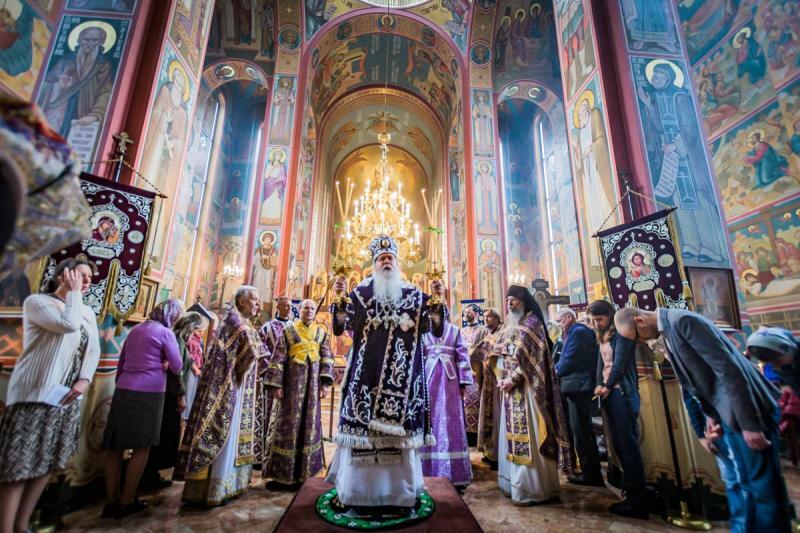 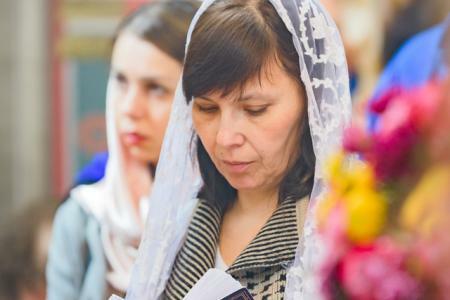 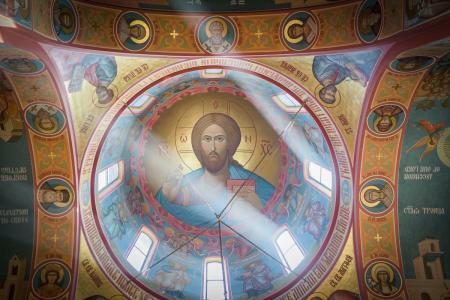 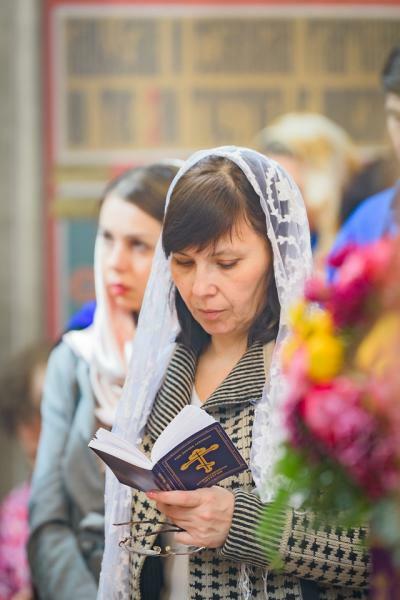 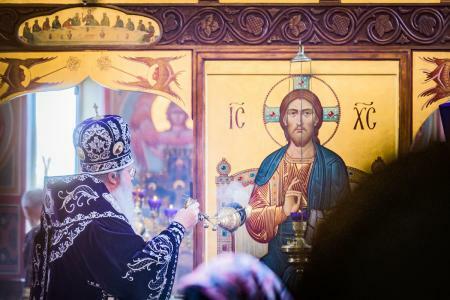 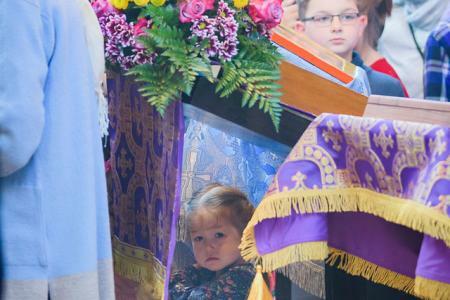 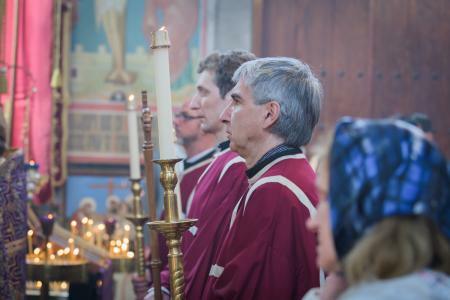 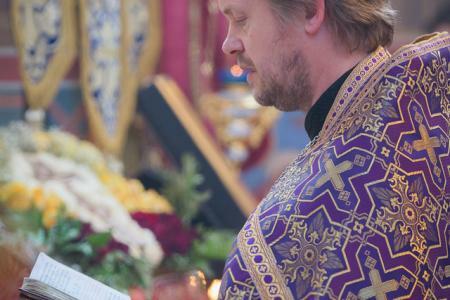 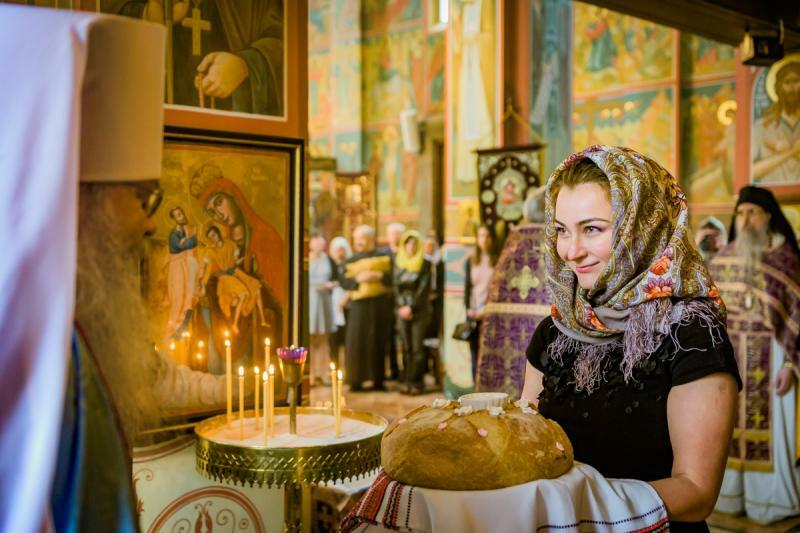 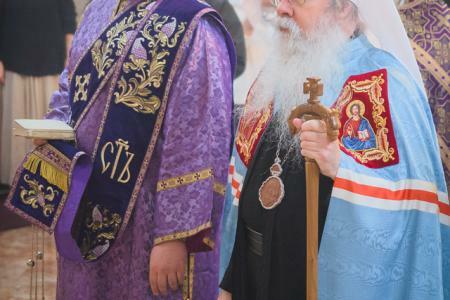 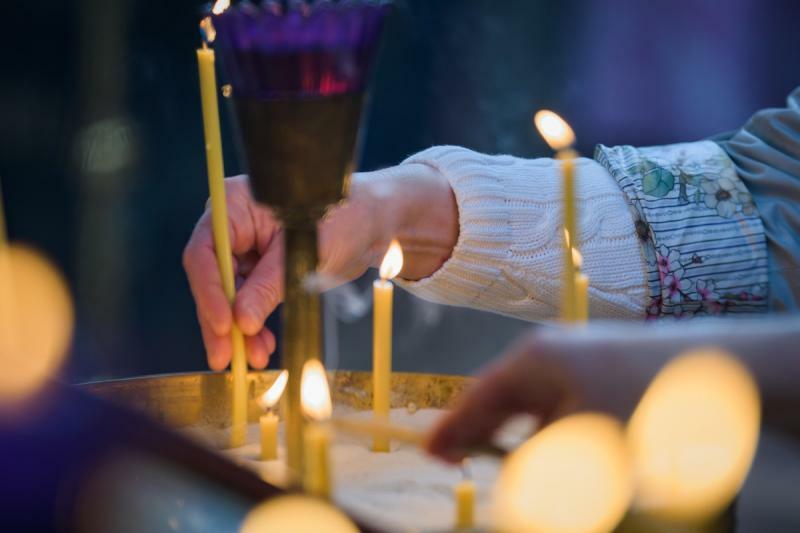 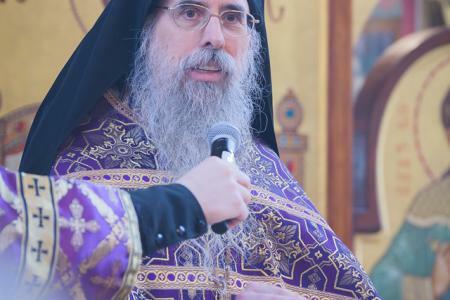 His Beatitude, Metropolitan Tikhon celebrated the Divine Liturgy on the Fourth Sunday of Great Lent—April 7, 2019—at Saint Nicholas Cathedral, Washington, DC, marking the commemoration of the repose of his patron, Saint Tikhon of Moscow, and the anniversary of His Beatitude’s monastic tonsure. 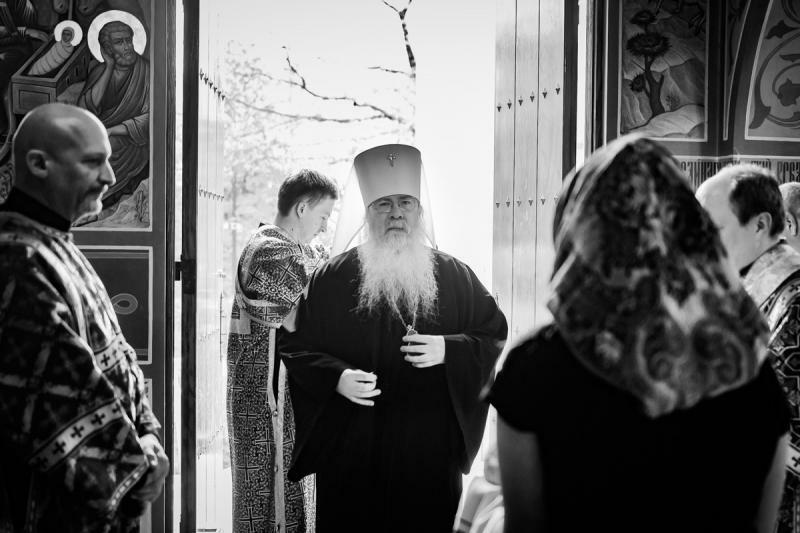 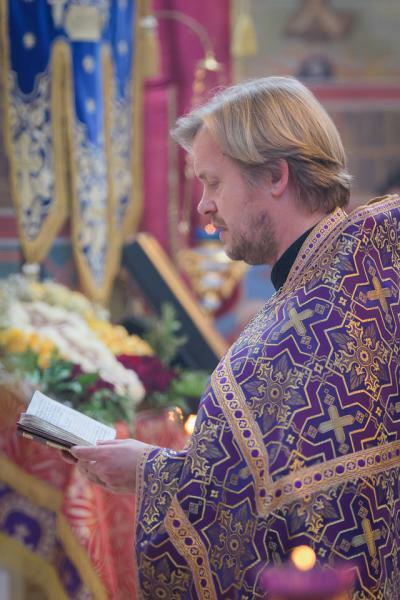 Joining Metropolitan Tikhon were Hieromonk Alexis [Trader] and the cathedral clergy. 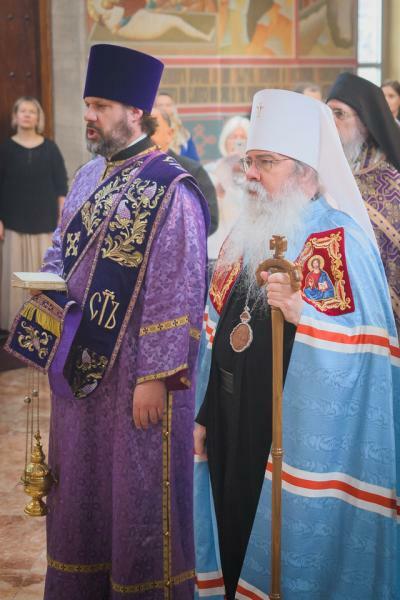 At the conclusion of the Divine Liturgy, greetings on the occasion of Metropolitan Tikhon’s name’s day were read from His Eminence, Archbishop Nathaniel on behalf of the Holy Synod of Bishops. 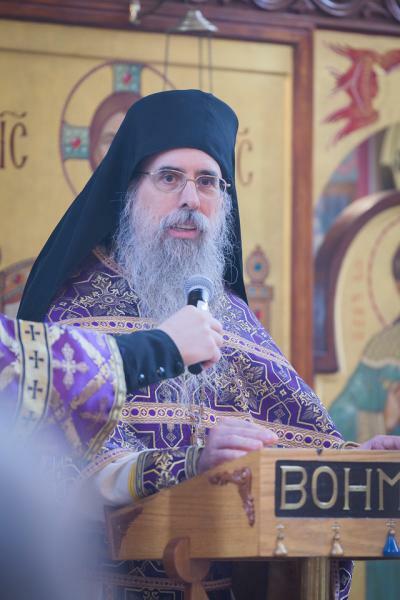 Greetings also were read on behalf of His Eminence, Archbishop Demetrios of the Greek Orthodox Archdiocese of America and US President Donald J. Trump. 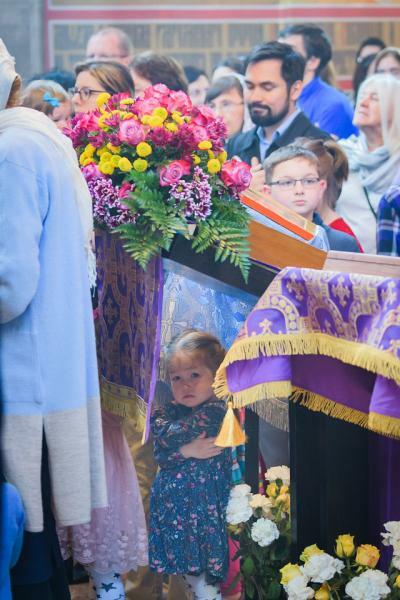 The cathedral community and sisterhood also greeted His Beatitude with flowers and a set of icons of our Lord and the Theotokos. 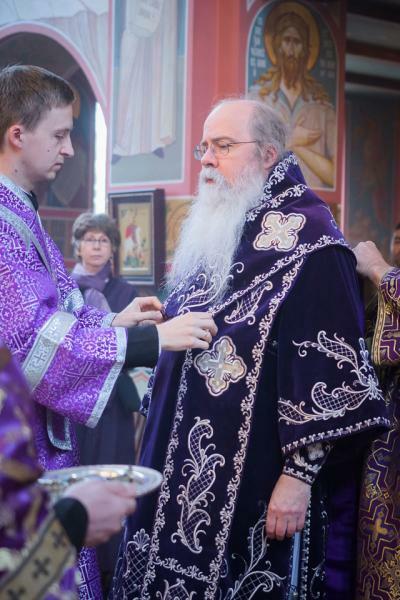 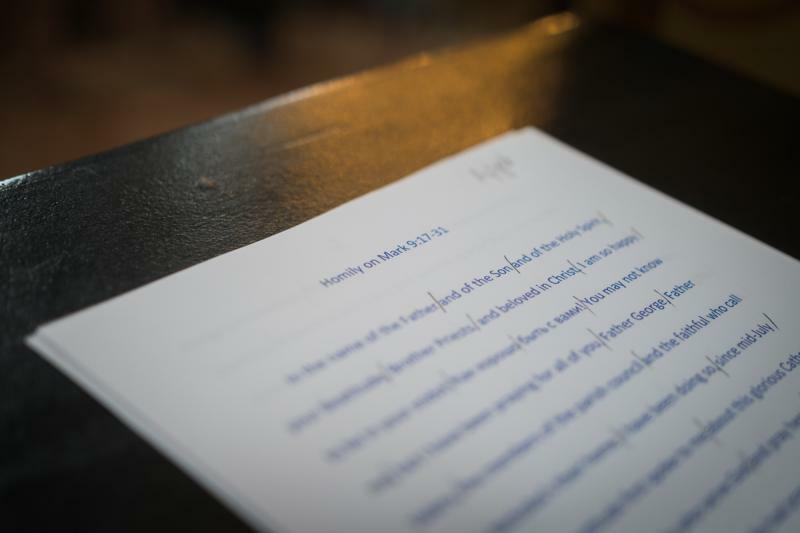 A lenten dinner followed the Divine Liturgy, during which “many years” was sung for Subdeacon Roman Ostash who, after ten years of service to His Beatitude, will leaving his position at the end of the second week of April.